I am quite possibly one of the least green fingered people I know. My mum has always loved getting out into the garden and transforming the space with different plants and flowers, tending to them during the year so that her garden always looks lovely. I am the sort of person who will be given a plant and before the week is out, that plant is no longer. When we find our forever home, I really want to have a garden I can spend time in. I love being outside and with the right design, a garden can be enjoyed day and night all year round. These are five ways you can transform your garden. You don’t need to patio the entire garden to make a dramatic change to the overall look. Consider just having one area of patio, perhaps in a corner of the garden. Not only will this save on cost, but it allows you to enjoy the best of both worlds with grass as well as patio to work with. There are a range of patio designs to choose from depending on the style you are looking for and how you want the overall garden to look. Just because we live in the UK, it doesn’t mean we can’t enjoy eating outside. Deck out your garden with some furniture, warm blankets and lighting and enjoy alfresco dining. There is a whole host of outdoor cooking equipment which you can buy to enable you to cook meals in your garden. An outdoor pizza oven would be the perfect addition to a Mediterranean style patio. It is amazing how a little lighting can completely transform a garden. There are lots of options available to suit all gardens from lanterns to string lights. 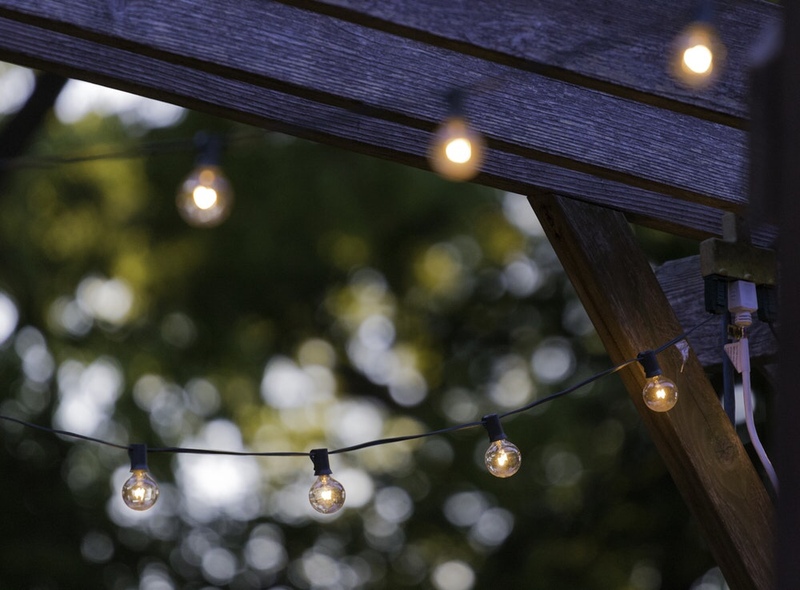 Lighting allows you to enjoy your garden space after the sun has gone down and can provide an atmospheric mood for dining or entertaining outdoors. Have fun with your flowerbeds and, if it’s starting to look a little dull, add pops of colours to brighten up the space. Ask for advice at your local garden centre on what you should be planting when to ensure a beautiful, colourful garden year round. You don’t need to stop at flowers, why not opt for a vegetable patch? It’s something you can work on as a family and enjoy the end product together. As I mentioned, I am not clued up on gardening and wouldn’t know where to start when it comes to transforming a space to make it Pinterest worthy. If you are equally unsure of when to plant what, and how to make a start on updating your garden, consider hiring an expert to help. There are people out there who are able to assist with garden designs so you can simply enjoy the end result.